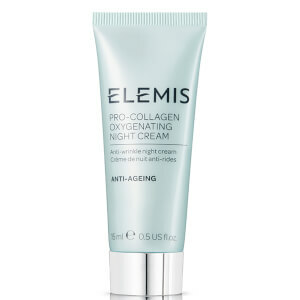 I received a fairly large sample of Elemis Pro-Collagen Overnight Matrix and I love it! I was determined to use all of the samples I received just to check out differrent creams, and it was my favorite by FAR. I noticed lines on my upper lip and I kept putting Elemis on those lines for as long as the sample lasted. I can say truthfully I hardly notice them now! This has not happended with me before with other creams. The ONLY reason I have not purchased a full size is the price ... but I am weighing the difference in what I pay monthly to have a light treatment to boost my collagen and this cream.